Singapore, 13 January 2014 – Following the recent announcement that Project Jewel will be jointly developed by Changi Airport Group and CapitaMalls Asia, Jewel Changi Airport Devt, the property manager of Project Jewel, is now inviting the public to play an integral role in shaping the complex into an iconic, world-class lifestyle destination in Singapore. Titled IMAGINE, this is a platform that will provide the public with the opportunity to share their vision for Project Jewel in the form of any two-dimensional medium (photographs, drawings and sketches). These submissions are envisaged to spur inspiration from the community and draw strong ideas that can be considered for the development of Project Jewel. From 13 January to 31 March 2014, the public can submit their vision for Project Jewel via www.changiairport.com/projectjewel. The public submissions may also be developed into art exhibits for display in Changi Airport, or produced into memorabilia as souvenirs for overseas visitors, subsequently. To add a dash of colour to the competition, the submissions will be curated into larger-than-life creative interpretations, and reproduced as art on Project Jewel’s 800-metres of hoarding during its construction. Helming the creative process is Singaporean artist and illustrator, eeshaun. In the past eight years, eeshaun has been a strong contributor to the arts scene, where he has created artworks and illustrations for brands such as Adidas, Nike, Discovery Channel, Singapore Fashion Festival, Herman Miller and Lacoste Live!. Most recently, eeshaun was commissioned by the Land Transport Authority of Singapore to produce his largest public art installation, ‘Move!’, a series of three art murals at the Bishan Circle Line station. More information about eeshaun is available in the Annex. IMAGINE is open to all residents of Singapore, aged 5 years and above. Two categories - Junior (5 – 12 years old) and Open (13 years and above) will see a total of 15 winners selected from the total pool of submissions, and they will stand to win prizes of up to $1,000 in Changi Vouchers. For more information about IMAGINE, please visit www.changiairport.com/projectjewel. eeshaun (b. 1980) is a Singaporean artist and illustrator. Since starting gardensilly in 2005, he has created artworks and illustrations for Adidas, Nike, Discovery Channel, Singapore Fashion Festival, Herman Miller and Lacoste Live!. eeshaun was appointed as Asian Kinetic Artist for Tiger Translate 2007, and was also featured in 20/20 BASE, an exhibition celebrating 20 of Singapore's most creative talents at the 2007 Singapore Design Festival. In 2008, he was commissioned together with FARM by Design Council Singapore as curatorial leads to design the Singapore Pavilion, Singapore Supergarden, for the prestigious 11th Venice Architectural Biennale. His largest public art installation, Move!, was commissioned by the Land Transport Authority of Singapore and unveiled at Bishan Circle Line station in 2009. eeshaun was a finalist for the 2011 Sovereign Asian Art Prize, and is represented by Mulan Gallery. eeshaun’s drawings and paintings explore non-linear, spontaneous and open-ended narratives in drawing that express the subconscious mind, as a reaction to the systematic planning, regularity and austerity of Singapore society. Often unplanned, his abstract, non-conceptual paintings are an experiential and experimental process; fraught with uncertainty and opportunity, and riddled with both control and joyful abandonment as he juxtaposes shapes, lines and planes into a complex, grid-like web of harmonious colours and playful forms filled with objects and characters. Managed by Jewel Changi Airport Devt Pte Ltd, and with joint ownership by Changi Airport Group and CapitaMalls Asia, Project Jewel will be a world-class lifestyle destination in Singapore when it opens at Changi Airport. At approximately 1.4 million square feet in size, Project Jewel will offer a range of facilities for airport operations, indoor gardens and leisure attractions, retail offerings and hotel facilities, all under one roof. Designed by world renowned architect Moshe Safdie, Project Jewel will feature a distinctive dome-shaped facade made of glass and steel, making this an iconic landmark in Changi Airport’s landscape. Come 2018, Project Jewel will be a signature destination that will add to Changi Airport’s appeal as one of the world’s leading air hubs. 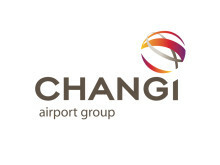 Changi Airport Group and CapitaMalls Asia Limited are pleased to announce that their respective wholly-owned subsidiaries, Jewel Changi Airport Holding Pte. Ltd. and CMA Singapore Investments (6) Pte. Ltd., have signed a joint venture agreement to develop an iconic mixed-use development at Changi Airport – codenamed Project Jewel – envisaged to be a world-class lifestyle destination in Singapore.